How to choose the right tent? Recording your adventure into the great outdoors can act as inspiration for your next trip, so don’t rely on Google Images to give you what you need, get out there and witness it for yourself. We’ve picked a few of our favourite camping bluetooth speakers, cameras, radios and binoculars, to help you create and capture some awesome memories. 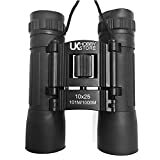 They might not be the most powerful Compact Binoculars around, but when you’re in need of a vision boost, or you’ve finally got a decent view of the full moon, and you’re doing your very best to make out the flag on the moon, they’ll do nicely. 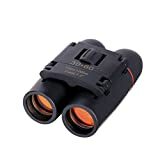 These handy little Compact Binoculars feature an adjustable viewer, so that you can set them to whatever width you like. 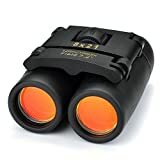 They’ll magnify up to 8 times, which is perfect for picking out particular landscape details, and for birdwatching. Durable and compact enough to fit into your rucksack’s side pocket, we’re big fans of these little beasts. 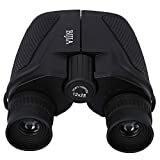 10x25 Black Compact Folding Binoculars with Case, High quality optics, Rubber amoured body. Features High Power Magnification. Special Anti Glare Fully Coated Optics. Lightweight Alloy Body. 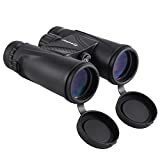 Ideal for Birdwatching, Concerts, Sport, Hiking, Camping and Travel.